Cape Enrage is the southern tip of Barn Marsh Island, which is separated from the mainland by an easily passable, narrow tidal creek. The cape received its name due to a reef that extends seaward from the point and causes the surrounding waters to become violent or enraged during maximum tidal currents. A petition from Isaac Turner, Rueben Stiles, James Brewster and six other merchants and ship owners of Westmorland County, asking that a grant be passed for a lighthouse on Cape Enrage, was presented to the government of New Brunswick in 1837, and the legislature appropriated a sum not exceeding £600 for the project. As Cape Enrage extended at least a third of the way across Chignecto Bay, it was a serious hazard. A rocky spur extended outward from the cape another half mile, making the cape still more dangerous. The water off the cape was deep, making soundings of no use, while soundings could be used at Apple River to determine one’s proximity to the shore. The shore around Cape Enrage was free of ice in winter, while the south shore was often blocked by ice. 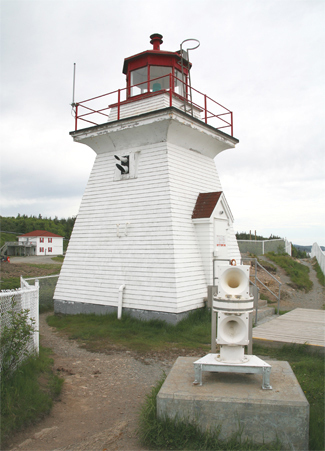 The commissioners decided in favor of a lighthouse at Cape Enrage but suggested that the Lieutenant Governor notify his counterpart in Nova Scotia that a light at Apple River would greatly aid those navigating the bay. The site for the lighthouse was purchased from Daniel Tingley, who offered to sell five acres on the extreme point of the cape for £20 and grant a right-of-way across his property. 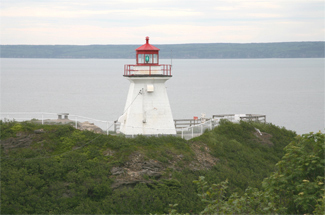 Rather than purchase a new lantern for Cape Enrage, the commissioners decided that the one in use at Partridge Island would be moved to Cape Enrage and a larger lantern would be ordered from England for Partridge Island. The English lantern arrived later than expected, delaying the completion and activation of Cape Enrage Lighthouse until the spring of 1840. The first keeper, James Munson, was paid £18 for living in and taking care of the lighthouse for part of 1839 and did not start receiving his full pay until the light was activated. 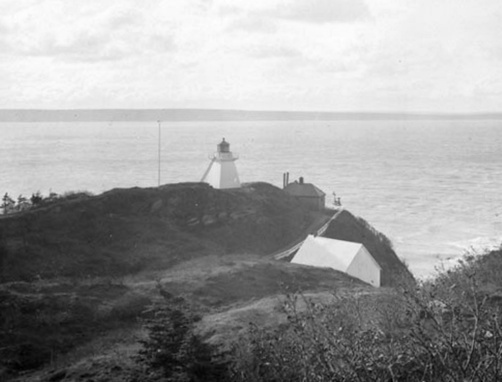 Although Cape Enrage Lighthouse was the eighth lighthouse to be constructed in New Brunswick, it was the first square one, all of the preceding being octagonal in design. Keeper Munson and his family lived in the thirty-nine-foot-tall lighthouse, which employed six lamps and reflectors to produce a fixed white light at a height of 161 feet above the bay. Matthew Grieves was put in charge of the light in 1844 after Keeper Munson passed away. The next year, £50 was finally allocated to construct a road to the lighthouse, and in 1849, a landing was built on the east side of the cape and stairs and skids were put in place so the station could also be readily supplied from the bay. Keeper Starratt was dismissed in 1888 on grounds that he was absent from the station and neglected his duty. Years later, a debate was held in the Canadian Senate over whether Keeper Starratt had been replaced simply because of his political leanings. A new boiler for Cape Enrage was constructed and installed at a cost of $925 in 1879 to replace the old boiler inherited from Partridge Island. Messrs. Wallace & Thompson, of Carleton, were hired to erect a new fog alarm building in 1888. The structure cost $1,900 and housed a Champion foghorn supplied by the Truro Foundry Company. A third lighthouse, the one that stands today, was constructed at Cape Enrage in 1904. This tower is square in plan, has sloping sides, and is topped by an octagonal lantern painted red. The lighthouse measures twenty-nine feet from its base to the top of the ventilator on the lantern and has a focal plane of 125 feet. When its light was first exhibited, a fourth-order lens was in use, and petroleum vapour was being burned under an incandescent mantle. A new duplex was built at Cape Enrage in 1952 to house the families of the two Coast Guard keepers who ran the station. 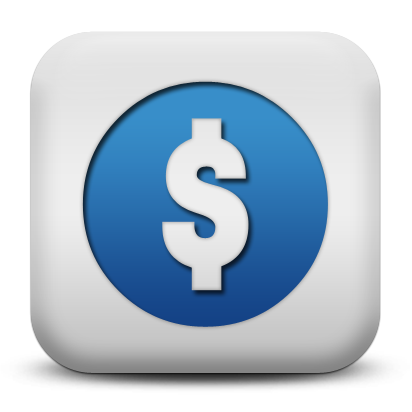 James McAlesse was paid $21,981 for the double dwelling and an artesian well. By the 1980s, only one keeper was assigned to Cape Enrage, and in 1988 the light was automated and the station de-staffed. Dennison Tate, a physics teacher at a high school in Moncton and son of a former lighthouse keeper on White Head Island off Grand Manan, would often visit Cape Enrage to hike, canoe, and climb the cliffs. During one such trip in the spring of 1992, he discovered the duplex at Cape Enrage was to be torn down. Tate stewed over the planned demolition during the summer and came up with a five or six-page plan for an outdoor adventure program at the cape that would be run by students and generate enough money to restore and maintain the station. Grants from a Federal Student Summer Works Program allowed Tate to hire six students during the summer of 1993 to paint the outside of the duplex, install new shutters, and construct a stairway down to the beach. Little progress was made in 1994, but late that summer the Province of New Brunswick, with the encouragement of Albert County Heritage Trust, announced it was going to purchase the station from the Canadian Coast Guard. Tate’s group was given permission to launch its adventure program the following summer, and it has been operating ever since. The duplex, known as the Cape House, serves as housing for the students on staff and is home to a restaurant that serves lunch and dinner. A stairway to the lighthouse was completed in 1997, and a gift shop, known as the Whistle House, was built in 1999. Under the direction of Dennison Tate and his wife Ann, many students have developed invaluable life skills at Cape Enrage and visitors have been treated to the thrill of climbing and rappelling at a spectacular setting, perfectly suited for such activities. Keepers: James Munson (1842 –1844), Matthew Grieves (1844 – 1850), John Hennebery (1850 - 1871), George Tingley (1871 – 1874), William J. Starratt (1874 – 1888), James G. Barbour (1888 – 1923), Lloyd M. Bennett (1923 – at least 1937), Francis Bennett (at least 1957 – 1978), Noel Justason (1978 – 1988). Journal of the House of Assembly of the Province of New Brunswick, various years. “Cape Enrage Lighthouse: An ongoing success story,” Jeremy D’Entremont, Lighthouse Digest, January, 2001. “The Light with an Image to Keep,” Deborah Carr, Atlantic Co-operator, May 2005. Located on the tip of Cape Enrage, just east of Fundy National Park. 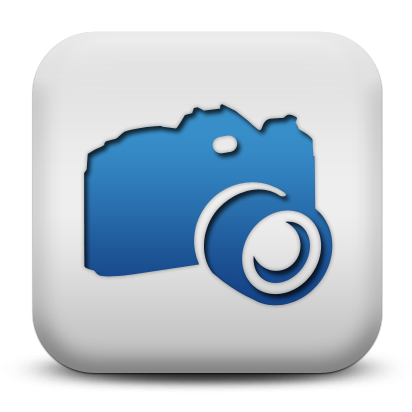 For a larger map of Cape Enrage Lighthouse, click the lighthouse in the above map. 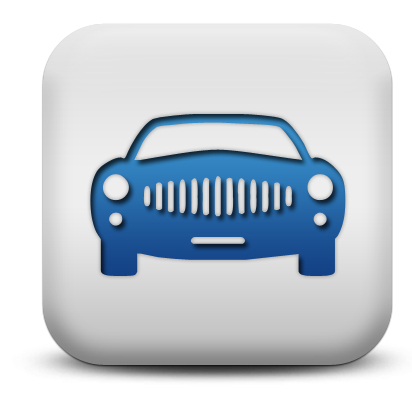 From Route 1 between Saint John and Moncton, take Exit 211 and travel south on Route 114 for 43.1 km (27 miles). After passing through Fundy National Park, turn right onto Route 915 from Rout 114 and continue 13.8 km (8.6 miles) and then turn right onto Cape Enrage Road and drive 6.3 km (3.9 miles) to Cape Enrage Lighthouse. 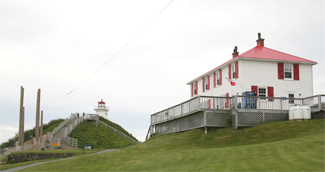 Cape Enrage Light Station is now home to Cape Enrage Adventure Centre, which offers rappelling, climbing, tours of the lighthouse, and a restaurant. The cape is open year round, but the services of the centre are available from May long weekend (Victoria Day) through mid-October. The lighthouse is owned by the Canadian Coast Guard. 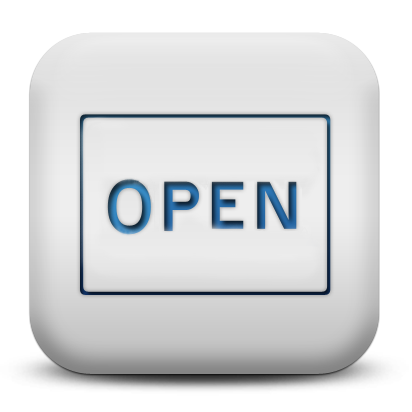 Grounds/tower open.